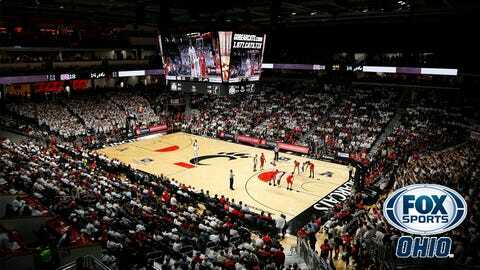 November 13, 2018, FOX Sports Ohio is airing the University of Cincinnati Bearcats – North Carolina Central Eagles men’s basketball game (7:00 p.m.). Please refer to these programming details. Cleveland, Columbus/Lima, Cincinnati, Dayton, Toledo, Louisville/Lexington, Charleston/Huntington, Bowling Green, KY/Knoxville, TN, Youngstown/Erie, Wheeling/Steubenville areas: The game is being made available to providers to air on the plus FOX Sports Ohio cable channels. Alternate channel information can be found here.